IEOM Society International addresses the issues of Global Engineering Education. There are various levels of readiness of engineering graduates from various parts of the world. One of the main themes is how to reduce the readiness gap of engineering graduates around the world. The special focus is given to Industrial Engineering and Manufacturing Engineering including Engineering Management. Are the engineering graduates ready to take on the challenges of the current global economy? With the great success of Global Engineering Education Series of last IEOM conferences, IEOM 2018 South Africa Conference will have a dedicated session for the 12th Global Engineering Education where distinguished speakers will discuss the readiness of engineering graduates for workforce around the world. Thirty six featured speakers will be from various part of the world to address engineering education challenges and opportunities. Each speaker needs to submit a title of the talk, abstract and a short bio as well as power point presentation. All will be included in the IEOM 2018 Conference proceedings. If you are interested to be distinguished feature speaker, please contact info@ieomsociety.org for details. 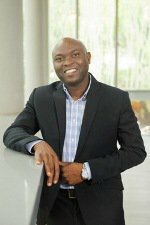 Dr. Olufemi Adetunji is a Senior Lecturer in the department of Industrial and Systems Engineering at the University of Pretoria, Pretoria, South Africa. He earned his Bachelors in Agricultural Engineering and his Masters in Industrial and Production Engineering from the University of Ibadan Nigeria. He also had a Post Graduate Diploma in Computer Science from the University of the Witwatersrand, Johannesburg, and his doctorate in Industrial and Systems Engineering from the University of Pretoria, Pretoria, both in South Africa. He is professionally certified in SCOR-P by the Supply Chain Council, certified in CPIM and CSCP by APICS, certified in SAP ERP systems by SAP, and has a green belt in lean six sigma. He has published several journal and conference papers. Dr. Adetunji has also conducted research and process improvement projects in diverse industries including Finance, Education, Manufacturing and Information Systems. His teaching and research interest is in the application of models to the design and operation of Manufacturing Planning Systems and Supply Chain Engineering. 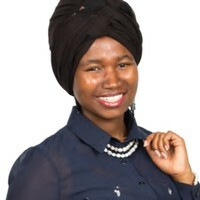 Ngaka Mosia is a Junior Lecturer in the department of Mechanical and Industrial Engineering, in the school of Engineering and a College of Science, Engineering and Technology at the University of South Africa (Unisa), in Gauteng, South Africa. He holds a BSc (Hons) in Applied Science from the University of Pretoria (UP), a BTech in Industrial Engineering from University of Johannesburg (UJ) and post graduate certificate in Distance education from the University of Maryland University College (UMUC). He has conference papers and posters. His reseach interests includes technology mediated teaching and learning and Productivity improvement through mechanization. He is a member of SAIIE & IEOM and Nadeosa & DEASA. Bontle Tladi has a BSc and MSc in Industrial Engineering from the University of the Witwatersrand (Johannesburg). She has spent 6 years in the petro-chemical industry, working in the areas of general business optimisation and improvement projects, Supply Chain, and the Information and Communication Technology. 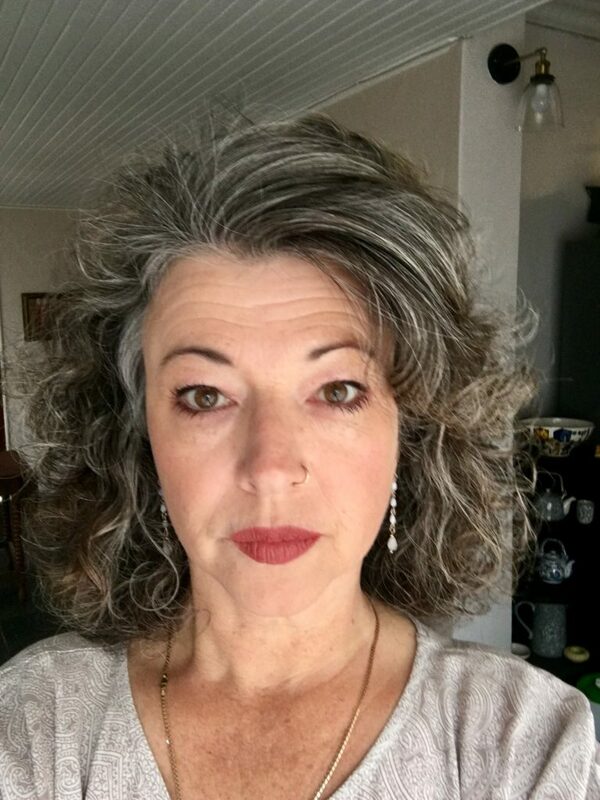 She has served as a member of the Highveld Special Interest Group (as part of the Southern African Institute for Industrial Engineering); and is also certified in Professional Business Coaching from the Gordon Institute of Business Science. She is currently a Lecturer of Industrial Engineering Design at the University of Witwatersrand. Her research interests include collective impact as well as shared measurement systems for tri-sector partnerships. 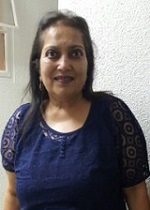 Dr. Kirti Menon is the Senior Director of Academic Planning, Quality Promotion and Academic Staff Development at the University of Johannesburg and a member of the UJ Senate Ad Hoc Task Team on ‘Decolonisation of Knowledge and Curriculum Reform.’ Prior to this she was Registrar at the University of the Witwatersrand from 2011 to 2013, Acting Deputy Director General: Universities from January 2010 till June 2011 in the Department of Higher Education and Training and Chief Director: Higher Education Planning and Management at the Department of Education from 2008. She worked for the Council on Higher Education between 1999 and 2008. She has served on several national task teams and her research focus is higher education with a focus on access, exclusion and redress. Gloria has always worked in education, and in higher education since 1994. She has wide-ranging experience of both the private and public sectors and of the regulatory environment. She is currently the Director of the Centre for Academic Planning and Development at the University of Johannesburg. 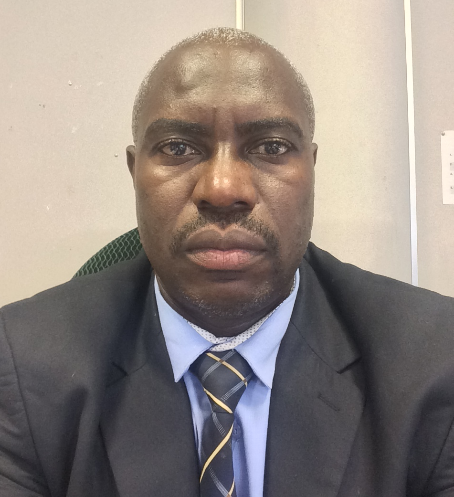 Michael Mutingi is a Associate Professor and Coordinator of the Master of Industrial Engineering at the Namibia University of Science and Technology, Namibia. He is also a Senior Visiting Research Associate at the University of Johannesburg, South Africa. He obtained his PhD in Engineering Management from the University of Johannesburg, South Africa. 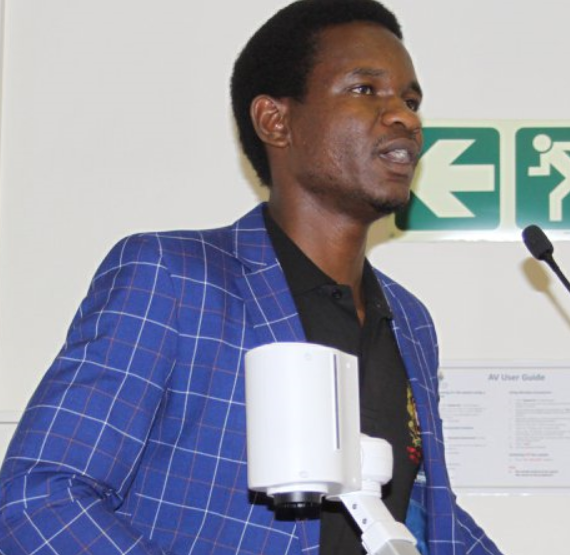 He also holds a MEng and a BEng in Industrial Engineering from the National University of Science and Technology, Zimbabwe, where he served as a Research Fellow and a Lecturer in Industrial Engineering. 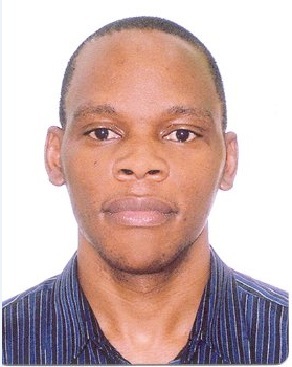 Michael Mutingi also served as a Research Associate at the National University of Singapore, Singapore, and a Lecturer at the University of Botswana, Botswana. His research interests include fuzzy multi-criteria decision making, simulation, optimization, scheduling, healthcare operations, logistics, and lean. He has published two books with Springer and Taylor & Francis, and more than 95 articles in international journals and conference proceedings. He is a member of the South African Institute of Industrial Engineering (SAIIE) and the International Association of Engineers (IAENG). Arno Louw is a Teaching and Learning Consultant at UJ. He has been involved in curriculum development and the implementation of computer courses involving the integration, application, implementation and evaluation of courses encompassing computer-based education. Arno was involved in projects at UJ (previously RAU) since 1998 and was also co-author and researcher of computer-based textbooks for the Gauteng Department of Education. Research and course development included the training of educators, subject facilitators, presentation and implementation of research as well as publications and presentations of papers on the implementation of web-based education in the school system. During this period, he was an educator at Metropolitan RAUCALL and a part-time lecturer at the University of Johannesburg. He holds a master’s degree with the focus on web-based education and doctoral degree in the same field. Dr. WM Goriwondo is a registered Professional Engineer with an MSc. degree in Manufacturing Systems & Operations Management as well as a Doctor of Philosophy (PhD) degree. He has a proven track record of technical, operational and strategic leadership, spanning over 20 years. Currently the Executive Dean of the Faculty of Industrial Technology at the National University of Science and Technology (NUST), a Senior Lecturer, Researcher and an Engineering & Management Consultant. Member of the Institute of Directors Zimbabwe (IoDZ), Fellow and Board member of the Zimbabwe Institution of Engineers (ZIE). He is an experienced Project Manager and team player with advanced strategic planning skills. A published researcher with over 10 peer reviewed journal papers, 40 peer reviewed papers in conference proceedings and several other technical newspaper articles. He is a passionate leader in manufacturing excellence, resource utilization and World Class Manufacturing (WCM). Engineering education is important in providing solutions to problems that face humankind. Zimbabwe has gone through a period of economic decline characterised by myriad of challenges, some of which requires engineering solutions. It is only when the quality of engineers from educational institutions is of high quality, that any such problems can be resolved. This paper presents the journey that the National University of Science and Technology (NUST) in Zimbabwe took towards improving engineering education. A two year project sponsored by the Royal Academy of Engineering (RAE), UK, saw NUST as a hub institution in Sub-Saharan Africa working with several spoke institutions in both Industry and Academia. The project sought to develop and strengthen relationships between academia and industry through secondment programmes to bridge skills and knowledge deficiencies. This was achieved through secondment of junior lecturers to industry, as well as skilled industrial players to the NUST. Knowledge sharing and skills transfer was achieved during this project, ultimately leading to improved engineering education. Relevance of engineering programmes at the NUST was also reviewed and improvements implemented. This will result in sustainable engineering educational changes and industry ready engineers. Important networks were established and these are key to sustainability. Dr. Sarwar Morshed is a Professor of Industrial and Production Engineering at the Faculty of Engineering, Ahsanullah University of Science and Technology (AUST). 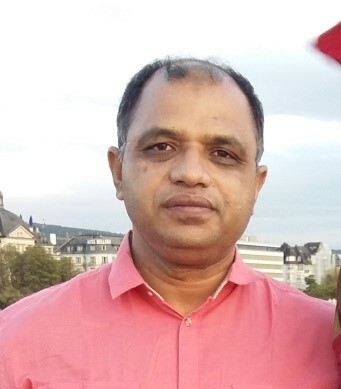 He started his academic career in Chittagong University of Engineering and Technology (CUET) in early 90s after receiving his undergraduate degree in Mechanical Engineering. He received his Masters in Industrial Management from the Centre for Industrial Management of Katholieke University of Leuven, Belgium and received his PhD in Manufacturing and Mechanical Engineering from the Birmingham University, UK on Optimization and Scheduling. He worked in the Birmingham University as PhD researcher before his post-doctoral research in Coventry and Bath University. He also served as a visiting academic at Bath University and affiliated as a visiting research fellow at Aalborg University, Denmark. He has published 20 articles in several journal and conferences. He has been working as a Senior Researcher and Deputy Project Leader of Aalborg-AUST Research Project (POHS-BD) and collaborative work among AUST, Aalborg University and BGMEA since 2015. A sustainable maturity model has been developed by integrating lean and OHS for intervention process in RMG industries. He also developed Muti-objective knowledge based scheduling techniques using genetic algorithm (GA) for cancer patients in dynamic situation along with his hybrid GA framework for industrial and service scheduling. Prof Morshed has affiliations with HEA (UK), OR Society, IEOM Society and IEB. The overall aim and objective of readymade garments (RMG) is to improve the productivity and competitiveness of RMG industry in Bangladesh while simultaneously improving OHS and ergonomic conditions. In order to reach this objective the research strives towards gaining new knowledge about the dynamics among the major stakeholders in respect to co-development of sustainable OHS and productivity advancements. This research has identified the positive synergies between productivity and OHS conditions after analysing baseline data collected from fifty RMG industries. The Lean and OHS model for the sustainable productivity improvement are developed for the intervention process has been implemented in twelve RMG industries with positive outcomes as expected. The last phase of baseline data collection process is in progress to make a final comparison between intervening and on no-intervening industries in the journey of ensuring sustainable productivity. The research capacity in Bangladesh is strengthening by initiating and institutionalizing this novel research domain which eventually applicable to many countries. Prof. Aigbavboa Clinton, PhD, is an Associate Professor at the University of Johannesburg, South Africa. His research interest are situated in the fields of sustainable human development, with the focus on: sustainable housing regeneration (urban renewal and informal housing), Life Cycle Assessment in the Construction Industry, remanufacturing, leadership in low-income housing, Biomimicry, post occupancy evaluation and green job creation. 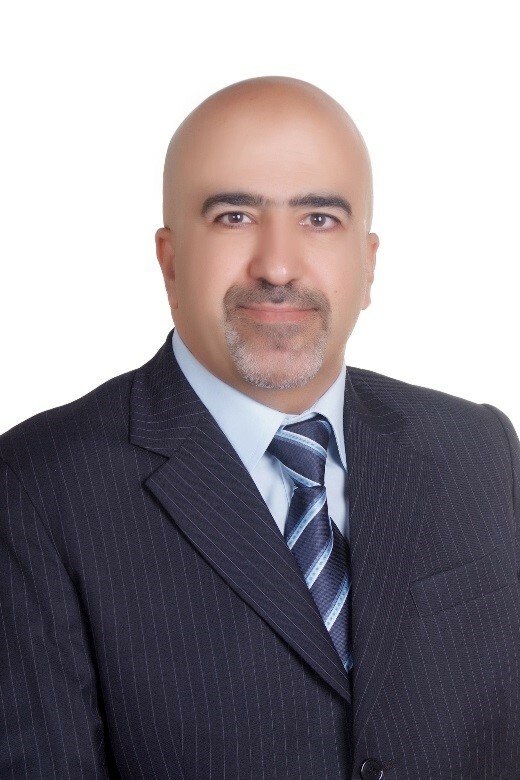 Imad Alsyouf is an associate professor of Industrial Engineering at University of Sharjah (UoS), UAE. He is the director of the Sustainability Office and the founder and coordinator of Sustainable Engineering Asset Management (SEAM) Research Group at UoS. He received his doctorate in Maintenance Engineering from Linnaeus University, Sweden, in 2004. He has 27 years of industrial and academic experience, and his research interests include reliability, quality and maintenance engineering, lean production, productivity improvement, performance measurement, life-cycle cost analysis, and optimisation. He has developed and taught more than 25 post- and undergraduate courses covering a wide range of IEEM fields. Sadeque Hamdan is a research assistant in the Sustainable Engineering Asset Management (SEAM) research group at University of Sharjah, UAE. He obtained his Master of Science degree in Engineering Management in 2015 and his Bachelor of Science degree in Civil Engineering degree in 2013 from University of Sharjah. His current research focuses on optimization, supply chain management, logistics, air traffic management, and multi-criteria decision making. Maitha Alsuwaidi obtained her Master of Science degree in Engineering Management in 2017 from University of Sharjah, UAE. Mohammad Shamsuzzaman is an associate professor in the Department of Industrial Engineering and Engineering Management at University of Sharjah, UAE. He obtained his doctorate in Systems and Engineering Management in 2005 from Nanyang Technological University, Singapore. His current research focuses on quality control and improvement, reliability, simulation, and multi-criteria decision making. He is a member of the American Society for Quality. ADEDOKUN, D.O. is a Lecturer at the Department of Building and Quantity Surveying, College of Environmental Sciences, Joseph Ayo Babalola University, Ikeji-Arakeji, Nigeria. She is currently a Ph.D student in the Department of Quantity Surveying, School of Environmental Technology, Federal University of Technology, Akure, Nigeria. 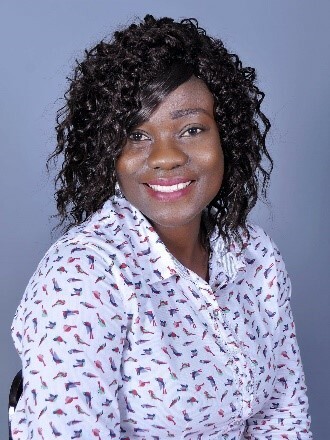 She is a researcher per excellence as her publications cuts across referred journals at local and international outlets while her contributions to conference proceedings cannot be overemphasized. She is also affiliated to GBM Konsult Associates, a firm offering Quantity Surveying and Project management services, on construction projects. • A Master’s Degree of Engineering in Civil Engineering at University of Johannesburg (RSA). • Pressure management and water loss reduction in water distribution systems. • Pipeline design and stresses generated by internal pressure concepts. 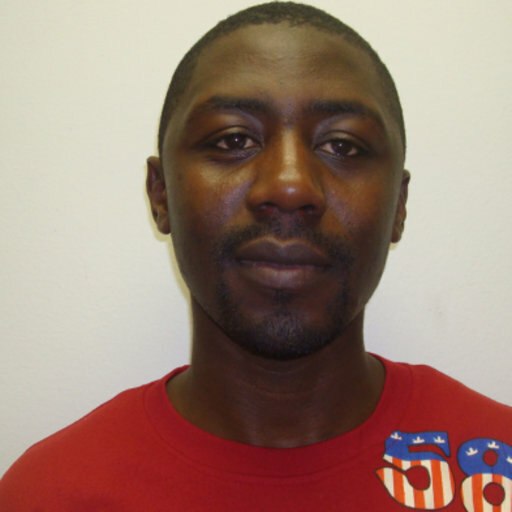 Didier Ilunga is member of SAICE, and processing his registration as Professional Engineer with ECSA. He does speak fluently French, English and Swahili. Jonathan Mkansi is currently a fulltime employee as Sales Engineer at Foseco South Africa in the Sales and Marketing department. Mr. Mkansi holds Bachelor of Technology degree in Engineering Metallurgy, Bachelor of Technology degree in Quality Management, Masters of Philosophy in Engineering Management all from the University of Johannesburg. In 2017 he completed an inhouse sales course; Selling by Objectives which focused on combining technical skills to improve processes at customers while helping the local foundry industry. This programme was offered by Mercuri International. Mr. Mkansi has 9 years working experience where he worked as a Metallurgist in the Aluminum rolling company in Pietermaritzburg, a Technical Specialist in the steel tube making company in Alrode and a Sales Engineer for a foundry consumables supplier in Alrode. Mr. Mkansi is a member of the South African institute of Foundrymen where technical presentations and discussions take place every month in an effort to help foundries conduct business differently and compete globally. Professor Annlize Marnewick is an Associate Professor at the Postgraduate School of Engineering Management, Faculty of Engineering and the Built Environment, University of Johannesburg where she focuses on the supervision of research master’s and doctoral students. Before joining the academia she has been involved in the industry with a technical record of 15 years in architecture, design and the implementation of system and software engineering projects with specialisation in requirements engineering. She is a registered professional engineer (Pr Eng) with the Engineering Council of South Africa (ECSA). 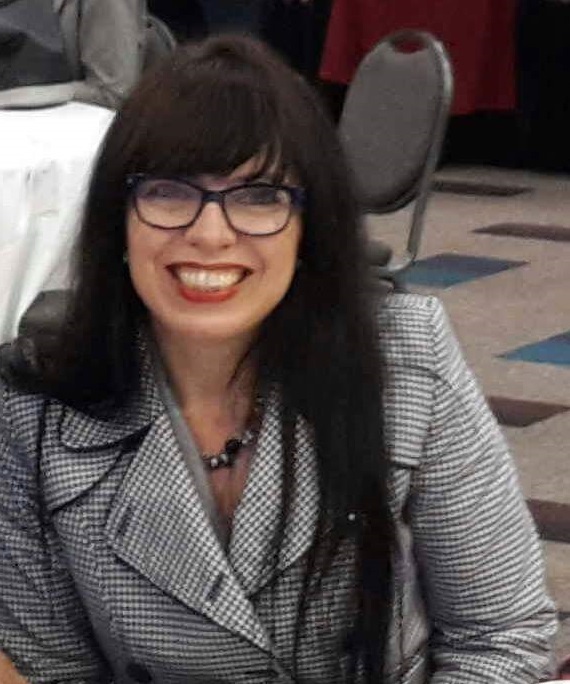 Dr. Hannelie Nel is a Senior Lecturer at the Postgraduate School of Engineering Management, Faculty of Engineering and the Built Environment, University of Johannesburg. She holds a Doctorate in Engineering Management with twenty years’ experience in both industry and academia. Dr Nel is an Honorary Fellow of the Southern African Society for Industrial Engineering and currently serves on the Boards of Denel and the Society for Engineering Education. She is a registered professional engineer with the Engineering Council of South Africa; an Associate Member of the Institute of Directors; and a Member of the International Women’s Association. 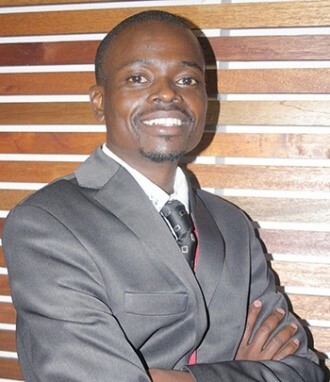 Matimba Mkansi is a Masters student in Industrial Engineering at the University of the Witwatersrand, Johannesburg. He holds a Bachelor of Science degree in Industrial Engineering from the same University. His honors research project, whose extension is this paper, focused on researching on the concept of decolonisation as applicable to engineering education. Chioniso Kuchwa-Dube is a lecturer within the School of Mechanical, Industrial and Aeronautical Engineering at the University of the Witwatersrand. Her main research interest is in the design and control of intelligent autonomous robots for various applications including manufacturing. She is also interested in engineering curriculum transformation. 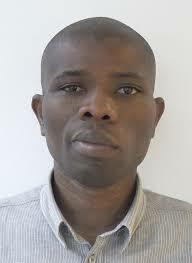 Bruno Emwanu is a Senior Lecturer at the University of the Witwatersrand, Johannesburg. He lectures Industrial Engineering courses including Manufacturing Strategy, Business Studies and Business Management. His research interest are in Manufacturing Strategy primarily and linkages involved. He supervises research students, including Masters and PhD students, in a wide range of topics including manufacturing strategy, business strategy, supply- chain management among others. 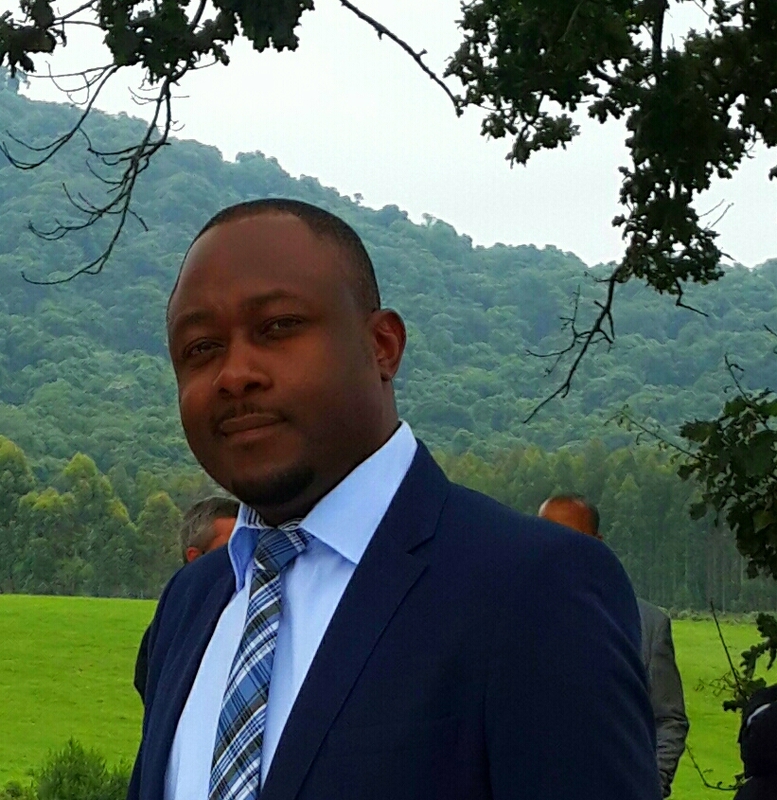 Joe Amadi-Echendu earned BS and MS degrees in Electrical and Electronic Engineering from University of Wyoming, USA, and DPhil in Control Engineering from University of Sussex, UK. Dr Joe currently serves as a Professor of Engineering and Technology Management at University of Pretoria, Republic of South Africa. He is the founding Director of the Institute of Engineering, Technology and Innovation Management at University of Port Harcourt in Nigeria. Prof Amadi-Echendu commenced his career as an apprentice maintenance technician at a tyre manufacturing plant, and his expertise is underpinned by his doctoral research in digital signal processing, condition monitoring and diagnostic engineering management of physical plants and processes. He has over 12 years industry work experience, as well as 20+ years academic experience in USA, UK, Nigeria and South Africa. His extensive experience and interests cover the broad fields of engineering and technology management with particular emphasis on the management of intellectual assets, engineering technologies, plant, equipment and infrastructure assets. While working in industry, Dr Joe primarily implemented “operational readiness” programmes for green field capital development projects in petrochemical and mining sectors. His current teaching and research activities are focused on engineering asset management and technology commercialisation, as well as supervision, mentoring and coaching to all grades of students and technology-based business start-ups. Prof Amadi-Echendu has published over 150 articles in journals and accredited international conference proceedings. Joe’s involvement in community development, professional and scholarly activities has been recognised through many local, national and international awards such as best paper, distinguished service, excellence, and leadership awards. Joe is registered as a professional engineer in both the UK and South Africa. He continues to provide consulting advice and training to both private business and public sector organisations. 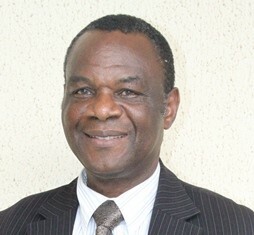 In addition to external examination of master and doctoral degree dissertations at local and overseas institutions, and review of manuscripts for a number of journals, Prof Amadi-Echendu’s concurrent roles and scholarly activities include; (i) editor-in-chief for Springer’s Engineering Asset Management Review Series, ii) founding fellow, board member and director of International Society of Engineering Asset Management (ISEAM), iii) member of board of directors of the International Association for the Management of Technology (IAMOT), iv) member of technical panels of long standing international conferences namely, COMADEM, IAMOT, PICMET, and WCEAM, and v) ‘Experienced Researcher’, EU grant funded H2020-MSCA-RISE Sustain Owner Project 645733. Professor Christian Amaechi Bolu, graduated with B,Sc in Mechanical Engineering from University of Nigeria, Nsukka in 1976, M.Eng in Industrial Engineering from University of Toronto, Canada in 1979 and Ph.D in Industrial and Systems Engineering from University of Wales, Swansea , United Kingdom in 1982. Prof Bolu, a professor of Mechatronics Engineering, is a practicing engineer with engineering industry work experience spanning over 27 years. He ran several multi-national engineering companies in Nigeria, Ghana and Kenya at top technical and management levels. He was instrumental to setting up of the first CNC wire-cutting machine in Nigeria, in the late 1980s as well as the first automated powder coating plant in Nigeria. He was the developer of one of the early Enterprise Resource Planning solutions widely used in engineering manufacturing plants in Nigeria, Ghana and Kenya. Prof Bolu, a Fellow of the Nigerian Academy of Engineering, Fellow of both the Nigerian Society of Engineers and Nigerian Institution of Industrial Engineers was a one-time Chairman of the Nigerian Society of Engineers (Lagos Branch), National Technical Secretary of the Nigeria Society of Engineers and President of the Nigerian Institution of Industrial Engineers. He is an SAP Certified Solution Consultant. His present special interest area is in Mechatronics System Design for community development, Internet of Things (IoT) and Rapid Prototyping. He is presently the Dean, College of Engineering, Covenant University, Ota, Nigeria, after serving as pioneer Dean, Faculty of Engineering, Federal University Oye-Ekiti, Nigeria from 2012-2015. 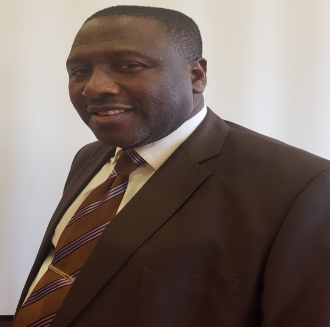 Mr. John Ikome is a lecturer in the Department of Industrial Engineering and Operation Management at the Vaal University of Technology, South Africa. He earned his National Diploma and Bachelors in Industrial Engineering (B-Tech) from the Vaal University of Technology South Africa and his Masters in Industrial Engineering, specialization (Technology Management) from the Tshwane University of Technology Pretoria, and currently pursuing his PhD (Deng) Industrial Engineering with Tshwane University of Technology, where he is trying to develop a Competitive model to enhance the South African Automotive Industries Global competitiveness. He also has a number of qualifications within the Mechanical Engineering Field, specialization in Automotive Systems from London and Lean manufacturing certification. He is a member of the Southern African Institute of Industrial Engineering (SAIIE). John Ikome has also conducted extensive research in productivity and continuous improvement within the manufacturing field in which he developed a number of models to improve manufacturing systems after unforeseen disruption. He is a member and a reviewer of a number of international conference and journal and has also published extensively a number of journal and conference papers around the world. His main interest in research is manufacturing and continues improvement. Prof Khumbulani Mpofu is Gibela chair in manufacturing and skills development. He is an NRF rated researcher with unbridled passion for Industrial Engineering. Prof Mpofu’s research career began in 2004 at the completion of a five year qualification with a design project that he carried out for his Bachelor of Engineering Honours degree in Industrial and Manufacturing Engineering. This project had both design elements and also an exploratory research aspects. In 2005, he received an offer to be a lecturer in a Bachelor of Technology programme, where he was responsible for computer related courses. He then enrolled for a postgraduate course which had a 50% research component. During his Master’s studies he gained keen interest on the computer aspects of the manufacturing industry. He was also involved in a Cleaner Production project at the manufacturing site of an airport component production and maintenance unit. He also pursued a research project in 2006, focusing on small to medium enterprise wood manufacturing companies and how they can reduce their environmental impact by collating their efforts with a clustering approach. Prof Mpofu enrolled for a Doctor of Technology in Mechanical Engineering at TUT in 2007, where he designed a Knowledge Based System for Reconfigurable Manufacturing. Between 2004 and 2011, Prof Mpofu was exposed to a range of other manufacturing challenges in; for example, manufacturing maintenance, importance of environmental conscious manufacturing, the advanced manufacturing technologies, from the mechanical, and control design to information system application in manufacturing. Prof Mpofu has reviewed papers for various conferences including the CIRP Conference on Manufacturing Systems, CIRP Global Conference on Sustainable Manufacturing, Flexible Automation and Intelligent Manufacturing conference, Southern African Institute of Industrial Engineers Conference, Zimbabwe Institute of Engineers, International Conference on Appropriate Technology, Symposium on Mechatronics and Robotics, Botswana Institute of Engineers Conference, Conference on Mechatronics and Machine Vision, Hybrid and Intelligent Systems and the International Federation on Automatic Conference, CIRP Global Conference on Manufacturing. In 2008, he chaired the much acclaimed session at the International Conference on CADCAM and Robotics and Factories of the Future, he also participated in the CIRP General Assembly local organising committee in 2015 held in Cape Town, South Africa. He also serves on the CIRP Global Conference on Sustainable Manufacturing. He has also reviewed numerous journals such as the Taylor and Francis Journal of Production Research, Elsevier Journal of Manufacturing Systems, the Emerald Design and Technology Journal, Engineering Optimization and the Proceedings of the Zimbabwe Institute of Engineers Journal. Currently, the Head of Department for the Industrial Engineering department, Prof Mpofu represented his faculty at the Research and Ethics Committee for a three year term and he spearheads the Innovative Design and Manufacturing research unit under the New Materials and Advanced Manufacturing niche area. In addition to his many accolades, Prof Mpofu has received excellence awards at the institutional level as well as at the national level being one of the finalists in the DST awards for emerging researcher 2015. To date (2016), he has attracted in excess of R30 million corporately and individually for research activities. He has collaborators locally and internationally in France, Germany, Slovenia, Sweden, Slovenia, China and the United States of America. Until 2016, he had over 70 publications in conferences, journals and book chapters. Graduated two doctoral students and twelve masters students. Through his efforts and his team he, has registered 3 patents to date, which are at various stages for development for commercialisation. Skills development is a challenge in the South African landscape, further skills in science, technology, engineering and mathematics is a global problem. This chair will seek to be a catalyst in revitalising the rail commuter coach manufacturing focusing on engineering and the related sectors to propel rail as a preferred commuter transport mode. Technical skills, running of technical business and development of localised technologies will bring about a revamp of the contribution of manufacturing sector to the GDP and also result in sustainable employment and black owned Small, Micro & Medium Enterprise development. Dr. Bolanle Tolulope Abe earned her Master degree in Communication Engineering from the Department of Electrical & Electronics Engineering, Federal University of Technology, Akure, Nigeria. She worked as a professional studio engineer at the Ondo-State Television Broadcasting Corporation, Nigeria before she moved into academics. Dr. Abe taught at the Department of Electrical & Electronics Engineering, Federal Polytechnic, Ado-Ekiti, Nigeria before she relocated to South Africa for further studies. She obtained Doctoral degree (PhD) in Electrical Engineering from the School of Electrical and Information Engineering, University of the Witwatersrand, Johannesburg, South Africa. Dr. Abe is a senior lecturer and the acting academic manager of the Department of Electrical Engineering, Tshwane University of Technology (TUT), eMalahleni campus, South Africa. She is a senate member of the University and also the Chairperson of the TUT Women in Engineering. Her passion is to motivate females in choosing engineering as a profession and to remain in the engineering profession. She is a member of many professional bodies among which are: the Institute of Electrical and Electronics Engineers (IEEE), South Africa Institute of Electrical Engineers (SAIEE), Engineering Council of South Africa (ECSA), Council for the Regulation of Engineering in Nigeria (COREN) and Industrial Engineering and Operations Management (IEOM). Her research interests are multi-disciplinary; these include the application of computational intelligence in remote sensing, Communication engineering, Electromagnetic Compatibility, corrosion and water resource management. She has track records in human capacity development by supervising and producing Masters and Doctoral students. She has published several papers in Journals, book chapters and has presented conference papers in many countries. 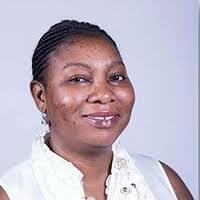 She is an editor of the African Journal of Science, Technology, Innovation and Development, Neural Computing and Applications Journal and Egyptian Journal of Remote Sensing. Sebonkile C. Thaba, is currently a lecturer and community engagement coordinator in the Department of Transport and Supply. 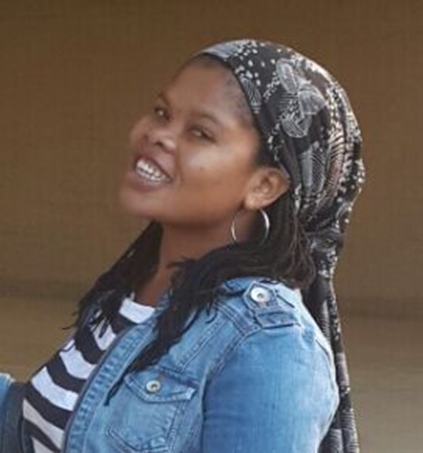 Sebonkile is studying towards Doctoral Degree at the University of Johannesburg (UJ). She is awarded Academic Doctorate Advancement Project towards Transformation (ADAPTT) Scholarship, which is the collaboration of United State and South Africa Higher Education (SA-HE) Network. She serves as the president of Industrial Engineering and Operations Management, (IEOM) UJ Student Chapter. She has 21 conference papers and two-book chapters published. Her research interest are Sustainable Supply Chain Management, Life Cycle Assessment, Enterprise development and Sustainable Transport (renewable energy). 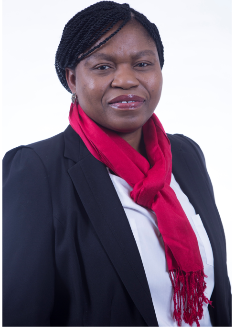 Dr. Grace Mukondeleli Kanakana – Katumba is a Deputy Executive Dean of College of Science, Engineering and Technology at University of South Africa (UNISA), Unisa Science Campus, Florida, Gauteng, South Africa, She was an Assistant Dean of the Faculty of Engineering and Built Environment at Tshwane University of Technology. Dr. Kanakana – Katumba was head of the Industrial Engineering Department at Tshwane University of Technology. She earned her B-Tech industrial from the University of Technology South Africa, Masters in Business administration from Nelson Mandela University, and PhD in Engineering Management from University of Johannesburg, South Africa. Dr. Kanakana – Katumba has published journal articles and conference papers pertaining to need areas from an industrial engineering perspective. She has carried out research studies with various research institutes and universities within South Africa and beyond. 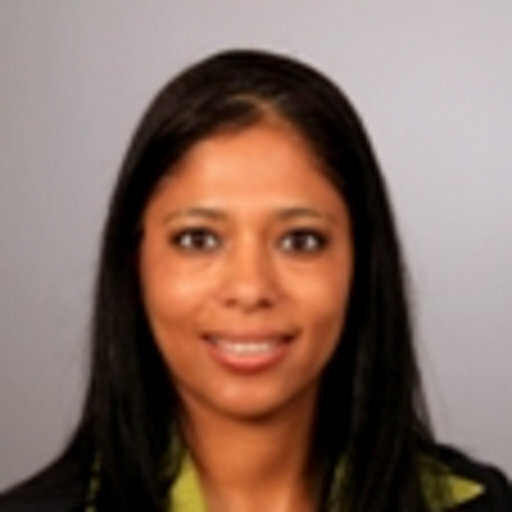 Her research interests include manufacturing, quality, benchmarking, optimization, project management, and lean six sigma. She is a member of local and international professional organizations. Dr. Kanakana – Katumba is serving as a conference chair of the 2018 IEOM South Africa Conference. 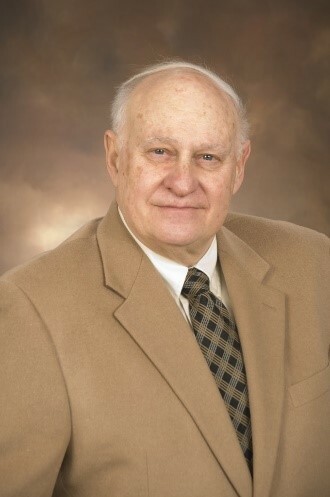 Donald M. Reimer is an adjunct faculty at the A. Leon Linton Department of Mechanical Engineering in College of Engineering at Lawrence Tech in Southfield, Michigan. He coordinates the Certificate of Entrepreneurial Engineering Skills. Mr. Reimer holds a Bachelor of Science degree in Industrial Management from Lawrence Technological University and a Master of Arts degree in Political Science from University of Detroit/Mercy. He is a Certified Management Consultant with over 35 years of experience in working with closely-held businesses. He has taught courses in entrepreneurship, strategic management, corporate entrepreneurship and innovation for engineers. Mr. Reimer is a member of the Lawrence Tech Kern Campus Committee, Coordinator of the Lawrence Tech Innovation Encounter. He is faculty Advisor of the Collegiate Entrepreneurs’ Organization. Mr. Reimer serves as a Kern Fellow of The Kern Family Foundation, Co-Direct of the Coleman Fellows Program, member of the National Collegiate Entrepreneurs’ Organization Faculty Advisory Council and is a member of the American Society of Engineering Education. He has operated his own consulting company – The Small Business Strategy Group for 23 years. He published numerous articles on small business, entrepreneurship and strategic thinking. He has received several awards and recognition by local, state and federal agencies for his work in entrepreneurship and minority business development. Mr. Reimer served as member of the Minority Economic Development Committee of New Detroit. Mr. Reimer is member of the Small Business Advisory Council of the Detroit Regional Chamber of Commerce. 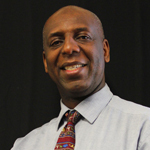 Mr. Reimer is a member of Advisory Board of the Milwaukee Junction Small Business Assistance Center. He is also a member of the Applied Innovation Alliance. Mr. Reimer serves as a KEEN Fellow for The Kern Family Foundation and is a member of United States Association of Small Business and Entrepreneurship.